Making a will can give you the peace of mind knowing that you can look after your loved ones, friends or your favourite charities, ensuring that your wishes are respected. Oxfam is a global movement of people who will not live with poverty. Across the world, we give people the support they need to turn their lives around, stand on their own two feet, care for their children and build a future free from poverty. Last year we helped to support 19.2 million people in 90 countries. It's easier than you think! First, work out what you've got. Start by sitting down with a cuppa and write down everything you own – including savings, possessions, property – and their approximate value. Then note down the names of relatives and friends – people you want to include in your will. 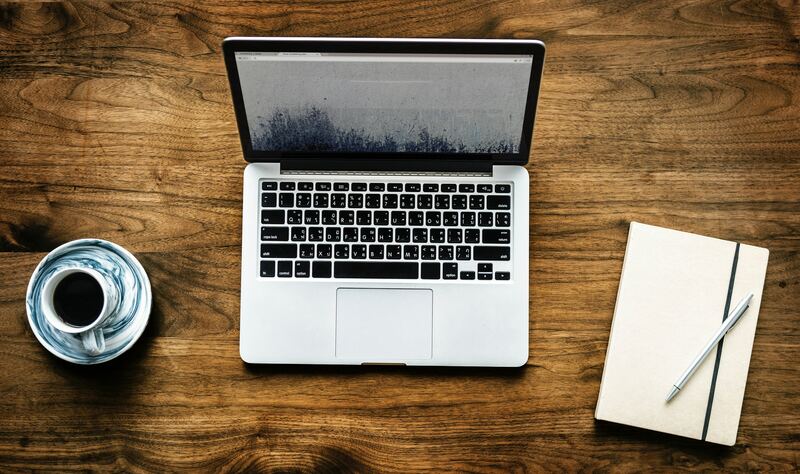 Match up the two lists and you’ll be ready to make an appointment with your solicitor or use our free online will-writing service. Your legacy will help change lives. Every euro/pound you give will be stretched as far as possible. We will invest your gift efficiently and cost effectively so it has the most impact. Your privacy is paramount. We respect your privacy and will look after your gift to us with sensitivity, care and confidentiality. We know that the decision is yours alone and that circumstances can change. You may, of course, change your mind about your gift to Oxfam at any time in the future. We are discreet. You don’t have to tell us if you intend to leave a gift to Oxfam, but if you do, it will help us to plan future work and allow us to thank you. We are always here. If there is anything you want to know about your gift to us, or the communities you are helping to thrive, please get in touch. With the help of supporters like you, we’ve been able to transform countless lives over the past six decades. In the last 20 years alone, over 660 million people have risen out of poverty; yet still one third of the world continues to live below the poverty line. But we know we can improve that statistic. Let’s make a world without poverty your legacy! Thanks to supporters like you, we've been fighting poverty in all sorts of amazing ways since 1942. Leaving a gift in your Will to Oxfam can let your passion live on – and help end poverty. Your legacy could help women like Zainab, an entrepreneurial mother of four from Jalawla, Iraq. In 2015, Zainab had to leave her home and nursery business behind when ISIS took control of the town. When Zainab returned, she recognised little of her hometown. Determined to see it come back to life, she reopened her nursery with the help of a cash grant of €500 from Oxfam. 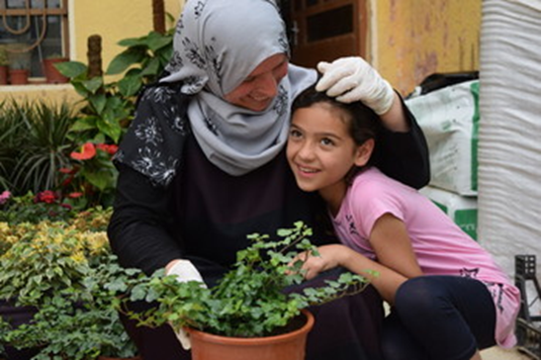 Zainab decided to establish a “women only” nursery, creating a sanctuary for women in a traditionally conservative town. With a legacy gift of €500 you could provide women like Zainab a chance to start their own business. 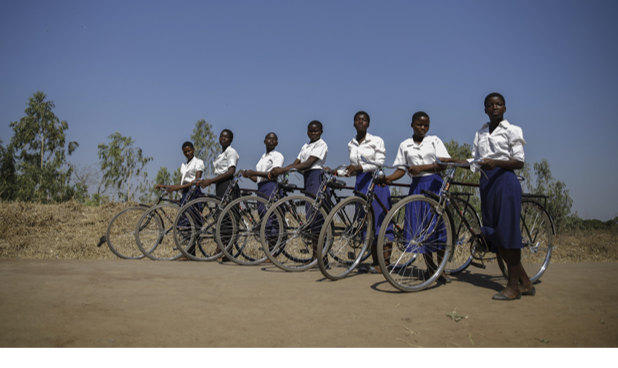 Girls from Chembera secondary school with their bicycles, that they received from Oxfam in order to commute to school every morning. Your legacy could help schoolgirls like Grace from Malawi. Grace, who lives 15km away from her school, used to have to walk two hours each way every day – just to get to the classroom. 54% of secondary school age girls in Malawi are not in education. The daily struggle to get to school (distance, time and safety) leaves many girls exhausted, fearful, unable to study and forces many girls to drop out. Oxfam is providing bicycles to girls to help them stay in school. With a legacy gift of €5,000 you could help 76 girls like Grace complete their education by providing them with their own bicycle. Your legacy could provide more refugees with life-saving hygiene kits. Many people desperate to escape the ongoing conflict have fled to shelters in rural Damascus. 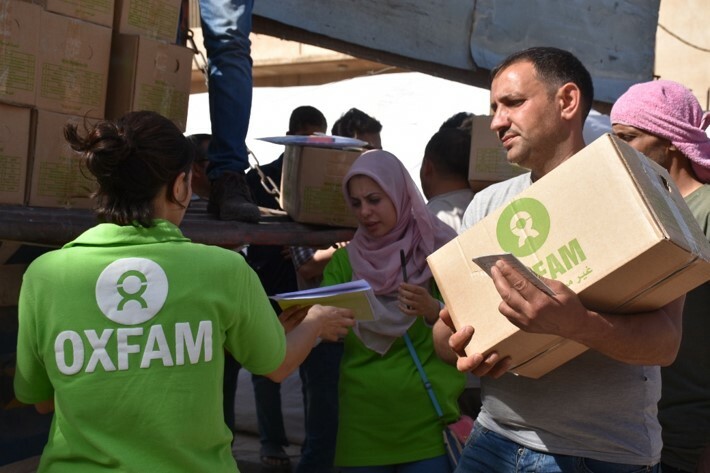 Oxfam is giving refugees access to clean water, improving sanitation and distributing kits containing soaps, shampoos, washing powder and sanitary items – helping to reduce the risk of diseases spreading in the overcrowded shelters. Providing dignity and hope in difficult circumstances. With a legacy gift of €10,000, you could provide 500 refugees with hygiene kits to ensure that they remain healthy and free from disease. 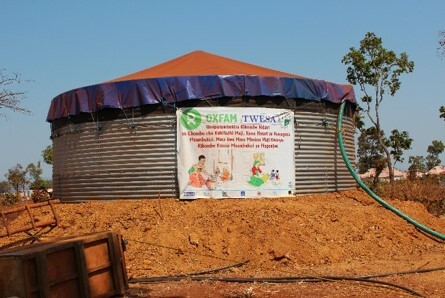 Your legacy could provide a community with a water tank that will save lives and improve the health of all who use it. The water tank can hold 95,000 litres of water and can provide more than 10,000 people with clean, safe water for drinking and cooking. Oxfam teams are on the ground in Nyarugusu refugee camp providing material and technical support to deliver life-saving clean water, construct latrines, as well as to educate the refugee population about the crucial importance of good hygiene in preventing disease. With a legacy gift of €100,000 we can build a water tank to provide clean, safe water for a WHOLE community. 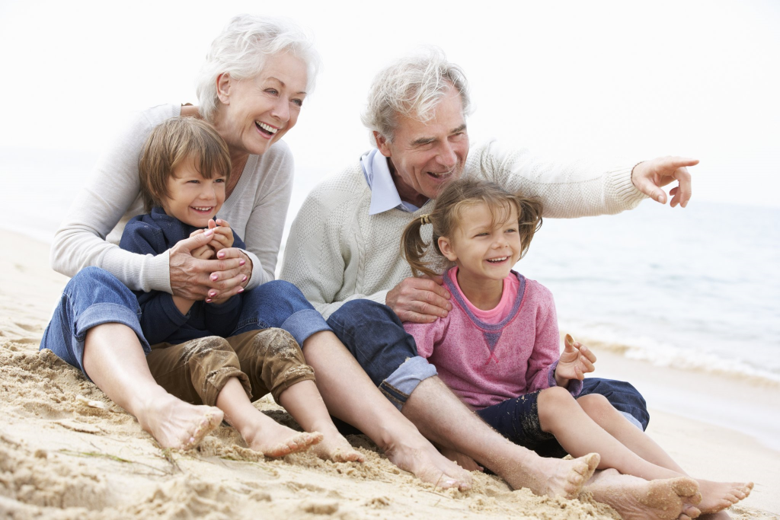 Having a will ensures that what you own goes directly to the people and causes you care most about. If, like many of our supporters, you chose to remember Oxfam Ireland in your will, we are honoured and want to say a heartfelt thank you. A pecuniary gift in a will is a gift of a specific sum. Remember, any amount, whatever you can afford after family and friends are taken care of, is priceless in the battle to fight poverty. A residuary gift in a will is a gift of part of an estate. This is a share of your estate that hasn’t been promised to family or friends. 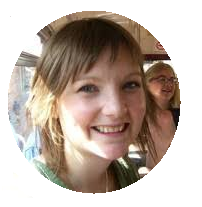 These kind of gifts are enormously valuable in supporting our work. This is where you generously select a specific item of value such as stocks, shares, jewellery, property, the proceeds of a life assurance policy or other valuable items. A codicil to a will is an addition to a will. If you have already written a will, but decide you would like to include a gift for Oxfam Ireland, you can ask a solicitor to add a codicil, or an addition to your original will. A codicil is simple to add and is signed in the same way as your original will, with a witness present and will be added to a permanent part of the will. 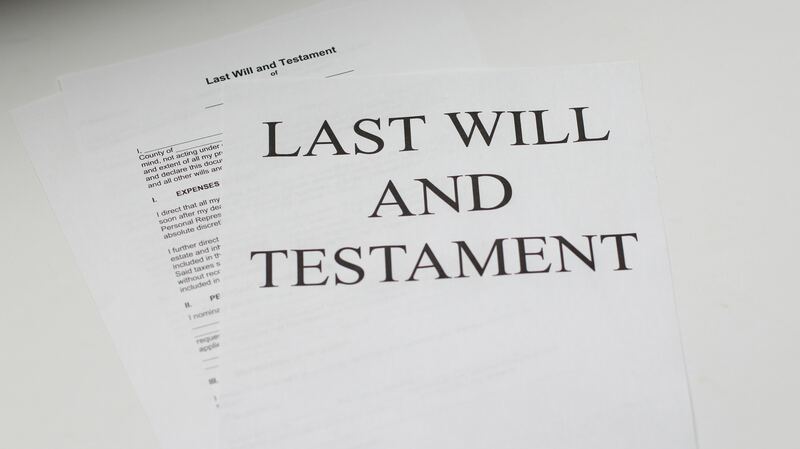 If someone dies without making a will, they are said to have died ‘intestate’. This means, the law will decide who inherits your prized possessions, property and money. Why don’t more people have a will? Many people think their estate isn’t large enough to warrant making a will. The fact is that if you have any assets at all, making a will ensures they go to the people you want to benefit when you die. Even leaving your personal possessions and some of the contents of your home to one of our shops will provide a lasting legacy. If I have left a gift to Oxfam in my will, should I tell you? Yes, it is really helpful if you can let us know that you have included us in your will. This information will always be treated in complete confidence. There's no need to tell us the value of your gift (unless you want to); just knowing we have a source of future income helps us to plan ahead with our long-term work. We would also like to have the opportunity to thank you and to answer any questions you may have about the work of Oxfam Ireland and our bequest programme. If you are happy to let us know, please contact Roisin Coulter on 01 6350428 or roisin.coulter@oxfam.org. 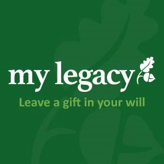 Oxfam Ireland is a member of My Legacy.ie – an organisation made up of over 150 charities in the Republic of Ireland that aims to raise awareness about leaving gifts in wills to charities. 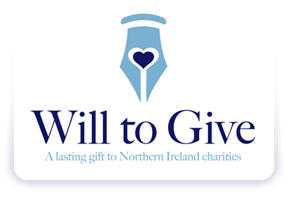 Oxfam Ireland is a member of WILL TO GIVE - a group of over 40 most cherished Northern Ireland charities who have come together to promote charitable gifts in wills. Download the 'Will to Give' guide to making and updating your will.